This easy-peasy modification can be used on almost any 116, 616, 127, 120, 620, etc. camera provided that the supply side of the camera will hold a canister of 35mm film. [I have a 127 camera with a supply chamber that is too narrow to hold the 35mm canister.] It's also helpful to have the correct size spool for the take-up size. For instance, I always use a 620 spool for take-up when shooting 35mm in my flipped lens Brownie Hawkeye Flash. If you happen to be working with a 116 camera (like the No 2A Brownie) and don't have the original spool, here is a great way to make a 120 spool fit a 116/616 camera. For this modification you'll need the camera you are choosing to use, a canister of 35mm film with the leader cut off (flat edge), tape (clear as well as electric), scissors, the empty take-up spool, and a pink sponge roller. Packs of 10-12 sponge rollers can be bought at the dollar store for, you guessed it, a buck. Step two: Tape the film leader to the empty take-up spool and place spool in proper position. NOTE: It's helpful to do this in the darkroom, so you don't waste (expose more film than you need to). Step three: Place film take-up/supply insert into camera or (if you are working with Holga, Diana or BHF--the foam rollers work splendidly in all these cameras!) put the camera back back on. 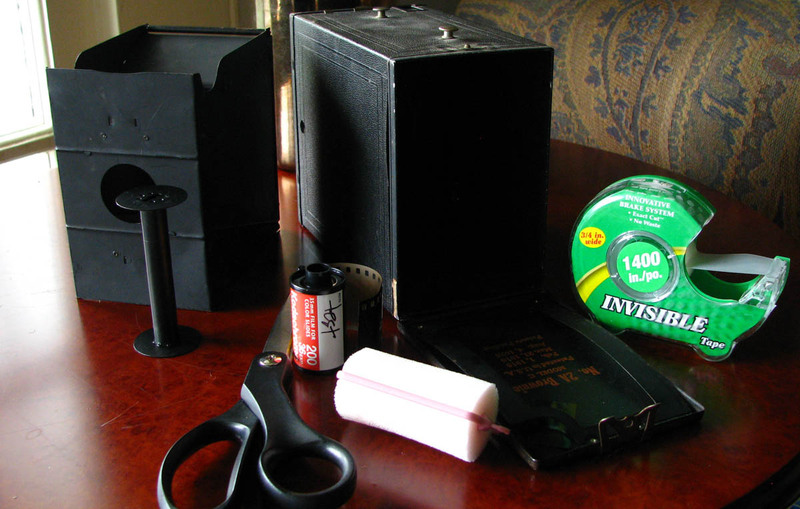 Importantly, you'll want to make sure that you have placed a couple layers of electric tape over the front and back of camera's red counter window so that you don't inadvertently expose the film. The negatives from this 116 camera are about 5 inches long. With a 36 exposure roll of film, I can make approximately 9-10 images. [I load the camera in the darkroom as I want to expose as little of the film as I can.] Here is a sampling of some of the other the images made with this camera. 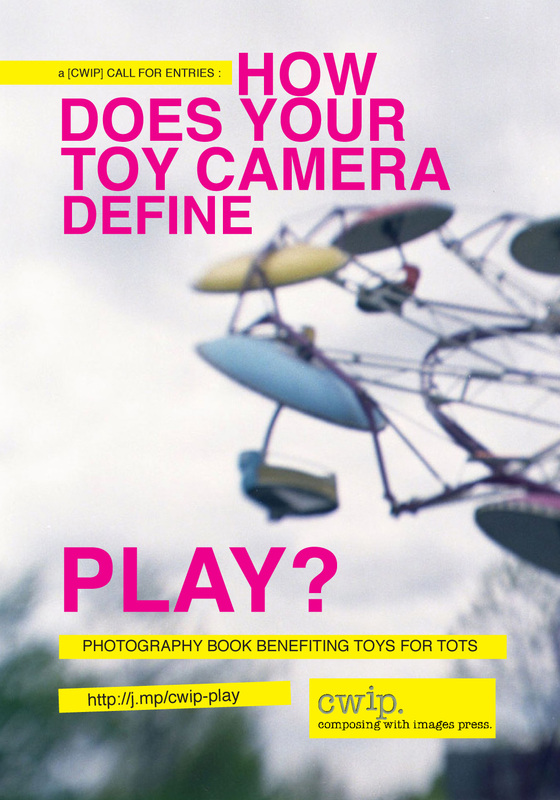 If you make photographs with toy analog cameras (or know someone who does) please consider submitting something for this edited collection!